We’re getting ready to wrap things up for January. Both our preschool curriculum kit as well as the books that we got for next month’s It’s A Small World theme are here and we’re definitely ready to get started. This week, we learned about Dinosaur Body Parts and one of our favorite activities was creating a dinosaur skeleton from head to toe. If you’re interested in doing something like this with your little kids, then definitely keep reading. There is nothing that I love more than process art. 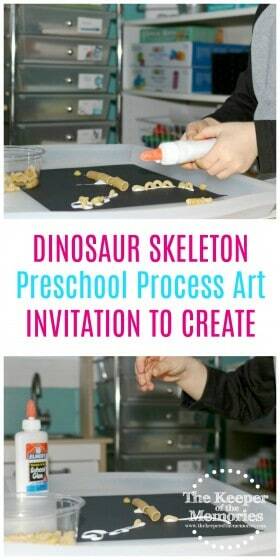 As someone who is a homeschool mama at heart, I can’t think of a better way to teach little kids about creativity. It’s so important to me that I give the little guy as much space and as many opportunities to explore as possible. After all, it’s how someone grows as an artist. 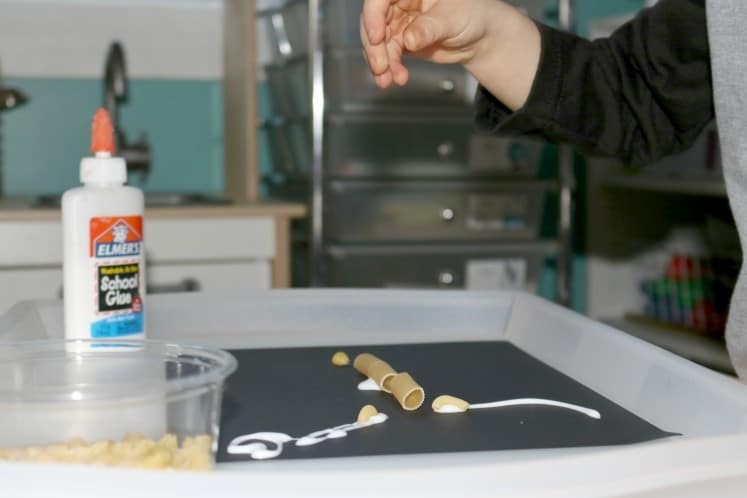 And Mother Goose Time has of course nailed it with the invitation to create activities that are includes in each little yellow school bus box. 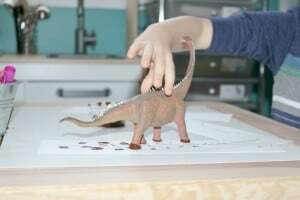 Set out the inspiration pictures of dinosaurs and additional supplies. What do you notice about the skeleton in the photo? 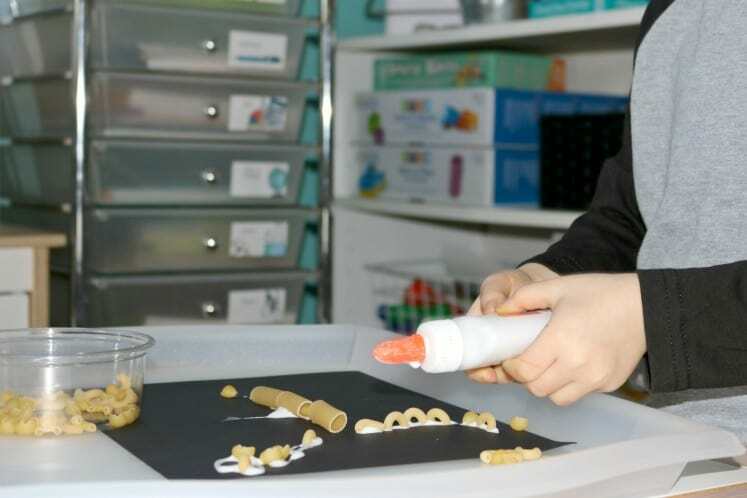 How will you arrange your pasta bones to make a design? Which dinosaur will you make? What other materials do you want to gather for your art? 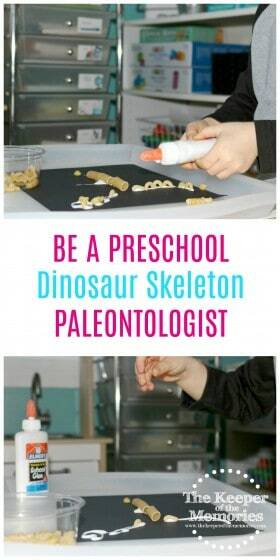 Did the child intentionally arrange the pasta to create a dinosaur? What was his first step? Did he communicate ideas about his art? It’s crazy to think that the little guy still loves these activities just as much as the day we started this curriculum almost two years ago. And I love seeing how much progress he’s made with everything from fine motor skills to mathematics + reasoning or even language + literacy skills.